I have left a review on your Facebook page, but I simply had to write a letter of thanks to you in addition. I have been to many events and celebrations and in many places but NEVER have I come across anything like Wildpark. The first thing I must congratulate you on is your customer experience. Without doubt you exceeded all my expectations for the day. Your game zones are excellent, well laid out, imaginative and with an excellent degree of realism. 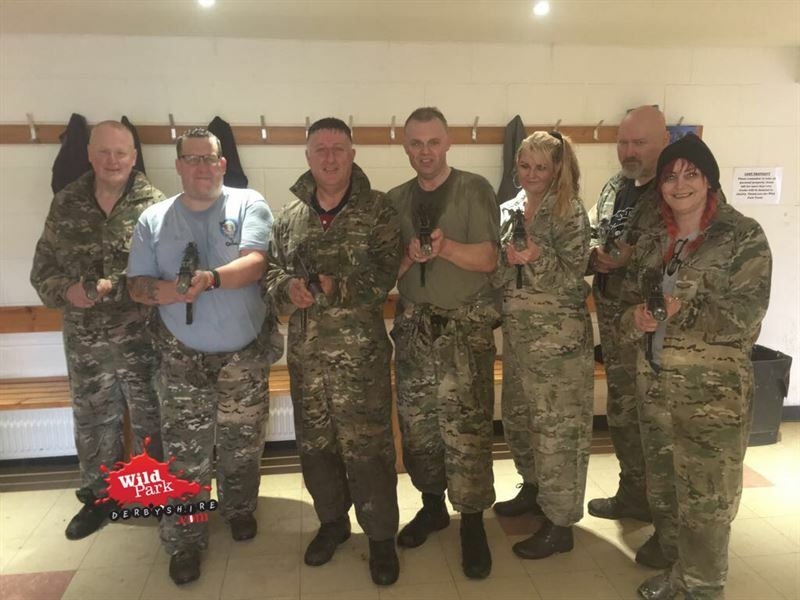 I had 4 ex- Army personnel in my party and all of them thoroughly enjoyed the day and more importantly, ALL want to come again. The scenarios for the games are exciting, challenging and thoroughly enjoyable. It is without doubt that a lot of work goes into the planning and creation of these for everybody’s enjoyment. 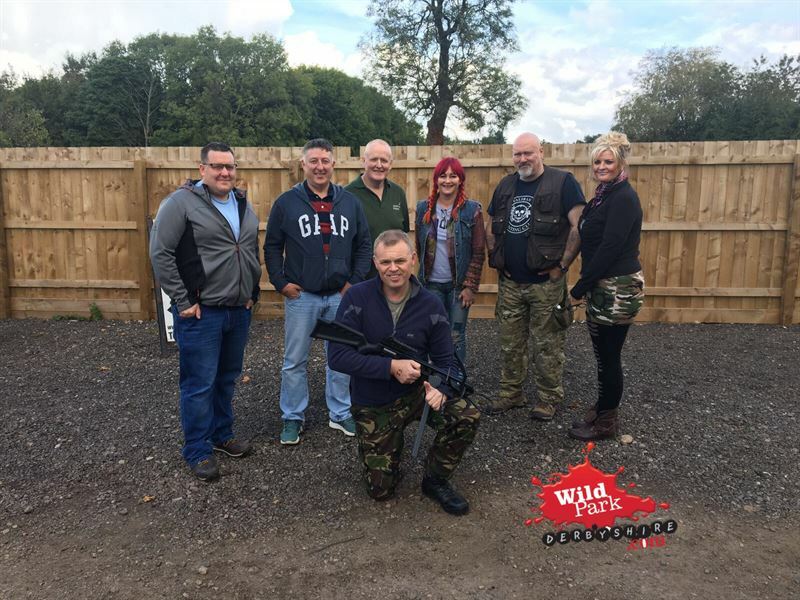 It is superb for team building and breaking down barriers (not that there were any with us) and I could see how this would be brilliant not just for individuals but also for organisations to take part. Secondly, if I could award you a customer excellence award for being the best customer services I have ever received, I would without hesitation. One of my major gripes with business today is that the customer is not treated as they should be. Nothing is personal anymore. I feel you guys nailed this. From the moment we got there, we felt like the only people there. By that I mean it was almost as if it was an experience just for us. We felt that important to you. I also felt like I hadn’t only just met you. It was as if we’d always known you. You couldn’t do enough for us, you made us incredibly welcome, you arranged a room and buffet table for us to have our special birthday time and on the occasions we asked for anything extra it was there. Absolutely incredible service. Sadly, all too often the customer isn’t put first and therefore when they are it’s a surprise to us. It shouldn’t be. You don’t just get customer service right, you get it perfect and I am very grateful for everything you have done to make the day so special. I am so glad I chose you to come to. In excess of everything I have already said, I would like to give special mention to Tristan who was our game lead for both the Cross bow shooting and the Laser tag. What an incredible young man. He is an absolute asset to your already wonderful park and business. I would like to mention him because aside from the way he led the experience (which was fun, informative and competitive) he engaged us all in a way that also felt like he’d known us for years. It’s almost as if he’s a part of the team you’re on. Great organisational and leadership skills and an absolute asset to you. He even didn’t mind being referred to as ‘Boyzone’ for the entire experience! But – aside from all this, I wasn’t well yesterday during the experience and immediately I was taken back to base, given a towel to get dry, hair dryer, hot coffee, and dry clothes to get in to. He EVEN gave me his own fleece to wear because I have circulation problems. What an incredible young man he is. So many could learn from him. I am just so moved by how he dealt with the whole thing. I was upset and in a lot of pain and he was a great comfort to me at that time. I think your prices are very reasonable for the experience you provide, but the way that I was made to feel was priceless. I would wholeheartedly recommend you to others and will be doing so, and we will be returning. Everything was just exceptional. There is nowhere I would rather have been than here. Most people would say there is always room for improvement, but actually I would argue that in this case there isn’t. I couldn’t name one thing you could improve on. Well done, thank you and stay excellent. A lot of businesses could and should take lessons from you.